This example shows a Keyword Cloud Report. 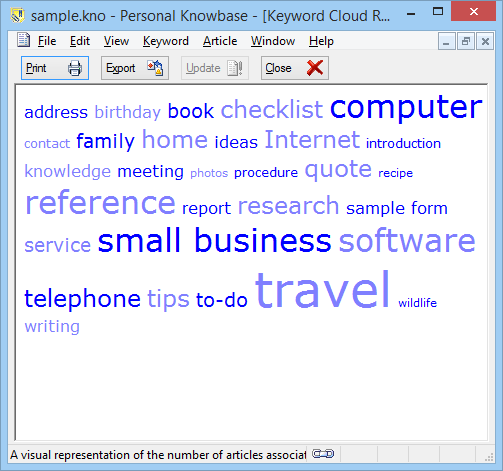 The Keyword Cloud Report shows a visual representation of the frequency of use of your keywords. This information can be printed, exported, or copied to other applications.